Despite being fond of freaking out at any time of the year — it is time to do a very specific mid-year-freak-out! About books! Of course! But existential crises welcome too. I am all including. Honestly this year has been strange because IT’S JUNE ALREADY and my entire opinion is: How. But at the same time, since my book came out on the 7th, I’ve been counting down till this month and it took foreeeeever to get here. See, STRANGE? I’m practically Doctor Strange at this point, but without the doctor part and I spend far less time on my hair. I mean, I HAD A BOOK COME OUT so that was…you know…no big deal. I’ve also been working really really hard this year. Edits and book-shaped-things I can’t talk about (SORRY) but it’s been intense and it’s only June. My social medias have kind of exploded (there’s 66,000 on twitter and instagram alone?!????) and keeping up with them is a bit like standing in a thunderstorm with one gumboot and half an umbrella. But also KIND OF AMAZING. I seriously don’t know what I’m doing or why everyone stays to be honest. I have read WAY WAY LESS THAN USUAL. Which is freaking me out. My mental health has not been great but yet I have managed to make the perfect ice cream sandwich which pretty much makes me the most successful person in the world. Book published?? Pfft. I can make ice cream sandwiches. Priorities. But anyway! I’m doing the Mid Year Book Freak Out Tag which I also did last year. Look! I’m cute AND predictable! And feel free to take these questions for your own blog! I’m pretty sure it was created originally by Chami and Ely (correct me if I’m wrong!) but I also think I may have warped the questions over time. Oops. Honestly?! I’ve had an amazing reading year so far…although I’ll admit, most of those 5-stars are rereads. BUT STILL!!! You know what? Usually I avoid sequels like I avoid people who believe in slaying dragons. I have good reasons for this and they include (1) usually I can’t remember the first book help, (2) what if it ruins the first books??? and lastly (3) just let the dragons live, ok, so what if they want to nibble a human??? Humans deserve to be eaten, have you seen what we’ve done lately. Legendary was ever better than Caraval and got the whole 5-stars! And The Raven King and The King’s Men were so fantastic I lost my mIND. I also finally finished off the Lara Jean books and they were soooo cute! Remember how I said I’ve been reading less!?? I mean, I know 100 books still is a lot and I’m full on whining here…but for me it has BEEN LESS. But yet I have not been collecting less books. AKA, do you see that little arm sticking out of that pile of books? Waving feebly? Send help. And, I don’t know??? A shovel maybe?? * It hasn’t happened yet, but I’m working on it. Why is it that the books I most want to read are never never the ones that are out??? I swear. My wishbone is always super inconsiderate and never wants what’s right in front of it. So if someone could just mAGIC me these books right now? That’d be great. Apparently there is a dress code for later 2018 books??? If you’re not in red and black, THEN YOU CAN’T SIT WITH US. I have been personally WOUNDED by the existence of Iron Gold. Not going to lie. I’m trying to be less negative about books online considering (a) I have a book now???? wow the children grow up so fast, and (b) I’m just SO constantly aware of how subjective books are. Less salt! More glitter! Books that absolutely just run at you and slap you in the face with PURE BRILLIANCE when you’re least expecting?? My favourite kind. I had zero expectations for Pacifica and then it turned into this pirate and poisoned-seas story with the best friendships (the dynamics reminded me of the Raven Cycle nearly?!) and stabby girls and cinnamon boys. I JUST. My heart. And Boomerang was amazing because it reminded me of a book I’d written. So this author is perhaps my brain twin??! (Um…that’s terrifying. I hope she never sees this.) It has tragic boys and runaways and bad situations and messy relationships. I don’t even know why I randomly requested it from Netgalley!? BUT I HAVE BEEN GIFTED A NEW FAVOURITE. The trouble is I just want to keep repeating the same books (!!) but look at me. I’m trying. I’ll branch out a bit. Can I say MY BOOK here?? Probably absolutely not because the level of No™ to list your own book is very high. However. This is all your fault. Because you spent years saying, “PUBLISH A BOOK CAIT!” And now I have been published and I can’t shut up. Also I’m Loki and unapologetically going to keep mentioning it. But look A Thousand Perfect Notes makes ME cry because people actually like it (!!) I’m surprised (!!) except for that one person’s dog who ate it. But that I assume that means even the dog likes it too. It also makes me cry because I did it. omg. I got here. You’re all dramatic though. It’s not THAT FEELS STABBING…is it?????? Finishing off the Lara Jean trilogy was just THE BEST. How can books be so freaking adorable?! My ship sailed. The sisters were amazing. Lara Jean finally figured out the recipe for the best chocolate chip cookies (arguably the most important moment). WHAT FLUFF UGH. I LOVE IT. An Enchantment Of Ravens is one I’m going to glare at everyone for telling me it wasn’t good. It was AMAZING. 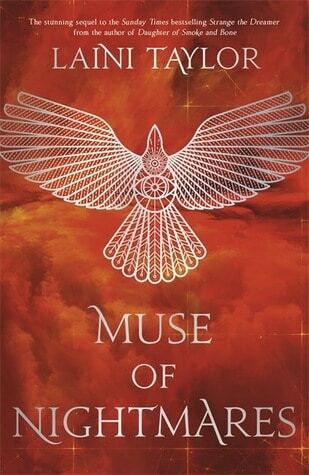 It was so funny, and the fae world was so lusciously magical, relationships were respectful, and Isaboe and Rook are the most adorable dorks ever. I also laughed so so much. Oh there have been some stunning covers for sure this year…is it just me or are YA book designers working overtime?! My eyes are HEARTS. Which sounds absolutely weird writing it out like that…but you know what I mean. Anyway…THE WICKER KING THOUGH. Inside and out! I know it came out in 2017 but shhhh it still counts. I’ve read it twice already…it’s just the most poignant, heartbreaking and yet thoughtful, and amazing depiction of mental health and loneliness. I cRY. tell me your top 3 books of the year so far?!? and have you had a good or bad reading year all up?? and are you on track with your Goodreads goal? I honestly couldn’t narrow it down to three. How very dare you! I could name three from each genre. I wasn’t fond of Red Rising at all but I’m so disappointed to hear that. My husband felt very similar and was a massive fan of the series as well. Too big a time jump and when characters come back as fully fledged adults, it sounds weird even. Do you think it would have worked better with all new characters? Honestly, that double jointed finger smushy makes me so ridiculously intrigued. That’s the sign of a great piano player too isn’t it? Awesome freak out but needed more pie charts. Many more pie characters. May I suggest your next post have an abundance of pie characters to rectify this. Get the hell out, I’m the first one to comment! I’ve made it mum, I’ve finally made it. PIE THO. We all need pie. I should do more pie charts. Just for you. I have had I guess a middling year so far? I haven’t had any 5 star reads yet, but I think I’m just getting super picky and if a book doesn’t completely blow me away, it’s not getting those 5 stars. Having said that, the majority of my reads have been 3.5-4 star reads this year, with only a couple of 3s and a very few 2.5s so that’s relatively good. My three favourite books of the year so far have been The Exact Opposite of Okay, The Language of Thorns and By A Charm and A Curse. It’s weird, for the most part all the books I’ve been really excited for this year have been kind of disappointing? Crooked Kingdom, The Burning Maze, Hero At The Fall, they were all books I was really desperate to read and ended up being disappointments. I’m reading Legendary next after I finish my current read and I’m glad to see that you really liked it, because I don’t want another of my top anticipated reads of the year to be a disappointment! I’m doing well on my Goodreads Challenge, I’m at 18 books out of 35, so about halfway through, but since I’m three books ahead at the moment anyway, I’m hoping I can push it and end the year on 40! Awww no I hope you get some 5-stars soon!! Most of my 5-stars have been rereads I admit, so maybe we are just getting more picky! ?😂That’s the problem with reading so much and being a blogger probably haha. BUT I’m glad you have had a lot of 4s! And I’m glad The Language of Thorns was amazing for you too, because I looooved it so much. And A Charm and A Curse was so good aghhh, the magic! I kind of skipped Hero at the Fall because I couldn’t remember the other books.😂So I guess I’m not missing much? GOOD LUCK FOR YOUR GOAL! I hope so too! I’m reading Legendary at the moment and I’m really loving it, though it’s on the really fine borderline between 4 and 5 stars for me right now! I think I am just getting a lot more picky because the most of the books I’ve rated mediocre this year I probably would have rated pretty highly before I was a blogger! Yes, it’s not all a total loss, to be honest, I kind of like being stingy with my five stars because then I know when I do give them to a book then it’s something truly amazing. Yes TLOT was so good and so was A Charm and A Curse, such a great little book. Ha ha fair enough. Thank you! Of course, I also loved A Thousand Perfect Notes – Beck and his situation just broke me, my heart, and my soul, so well done, Cait! I might do this tag myself… I need to get out of my blogging slump, and this looks FUN! AWWW YOU MENTIONED MY BOOK. YOU ARE THE BEST!! I think I’m having a very good reading year! In fact, I already completed my goodreads challenge! Okay my goal is just for 50 books but it’s still an achievement all the same. I’ve read a tot of 52 books now and I think I’m the universe (plus all the alternate universes). I would like to thank you Cait because you’re my main inspiration (both in reading and blogging). YAS FOR THE CRUEL PRINCE AND ACE OF SHADES!! *hi fives* I actually realised I didn’t even list my top books in this post. *facepalm* I need…um, to take a 5 year nap I think.😂 And I’m so glad this year is being amazing for you with the books! Also 52 books is AMAZING. CAKE FOR US ALL. My top three books so far are Sky in the Deep, Heart of Iron, and My Lady Jane (and I’ve reread SiTD already and about to reread Lady Jane next month). Uhm it’s been a good year. I had one month that was nothing but crap books but it was also the month I read Starfish so everything was saved becaude that book is a gem. Is it bad I miss those days, lol. And omggg I’m with you on feeling guilty but then feeling ANNOYED that I’m feeling guilty?! Like it’s so hard to fit everything in??? And reading + doing everything else is actually a huge mammoth effort.😂We deserve cake, and also pls 17 more hours per day. I want to read Summer Bird Blue, but I’ll have to wait until the library gets it. I want all of the autumn/winter books you have listed!! Hmm, not sure about my top three books, but definitely one is Island of the Mad by Laurie R King, which I just finished. I love this series so much, and they visited Poveglia in Venice this go ’round. The archaeologist in me was ecstatic. I have an interest in Poveglia. Great post! I must finish off the Lara Jean trilogy at some point. I’ve only read the first book. I did buy the second and third, but I don’t remember much of the first so I’ll have to re-read that first. I actually borrowed it from my library at the time, then a while later I bought the first book when I also got the second book. But I never got around to re-reading it and then the third book came out which I also bought. Glad to hear/read you liked the trilogy! I love your pie charts <3. There's no way I can pick just three books! Here's my list. It's 12 books, and I've put them sort of in order of favourite. I've read 135 books this year so far, that includes some short stories though. So far this year, extrapolating for the full year (x2, times two) I've read I think a bit more than last year in terms of amount of books and pages (so if I keep it up I'll have read more books and more pages this year), less than in 2015 and 2016 though, more than in 2014 and 2013 and 2012. I've been reading more graphic novels, graphic memoirs and manga this year, so I suppose it makes sense that I've read a bit more than last year. I don't have a specific GoodReads goal because it stresses me out, instead I set it to 100 which is a target I knew I would hit. I did that with the Lara Jean books! I read the first book and then IMMEDIATELY bought the second and…didn’t read it.😂But it worked out, because I waited for bk 3 and then reread book 1 and …wooo! I loved them all. Reading series is honestly a huge balancing act omg. I still need to read The Wicker King! It’s been on my tbr for ages and I haven’t actually gotten around to it. Ooops. But I am now officially free for the summer (because I graduated!) and so many I’ll get around to it. But I really do love books with unique formatting. And I loved Daughter of the Burning City, so it was kind of like going into AoS and knowing I’d get another one that just so suited me.😍 LEVI WAS SO ADORABLE. I was a bit confused with the magic system but I think I got the hang of it?? I mean I still have no freaking idea what orbs are but whatever. 😂 I don’t tend to keep up very well anyway with these kinds of things ha. I always have such a hard time picking top favorites though. There have just been SO many good books! Wait wait did you just say a dog ate Iron Gold????😂omg. I’m glad you’ve had so many good books this year though!! Who the pumpernickel told you that An Enchantment of Ravens isn’t good? It’s storming amazing and delightful and five kinds of wonderful and one of my favorite books I’ve read this year. I read it twice in a six-month span, that’s how good it is. Anyway. I’m very glad you enjoyed it. That’s all. I’d say this year has been good though I am wayyyyyy behind on releases. All the ones you listed not reading yet I haven’t read yet either, heck i haven’t even started the ones that are part of a series yet (Shatter Me glares at me every time I go to the library, either it’s angry for me not reading it yet or just the fact the covers have eyes) however I’ve done well on series because I created a habit of reading like three books at once two of which are series. GO YOU FOR BEING AHEAD!! 😂😂 I’m not technically behind atm, but I just feel bAD because this is the least I’ve read in like…the last 3 years. Gulp. Tbh this year is a meh reading year, but it’s still better than last year soooo… I can’t really complain :/ My top 3 books got to be Princesses Behaving Badly, The Girl in the Tower, and The Price Guide to the Occult! Awk, I’m sad it’s a meh year for you but better than last year is a good step, still?! And oh I hadn’t heard much about The Price Guide to the Occult yet so I’m glad you loved it! I’m hopefully doing this tag on the last day of June. Thunderhead is such a good sequel. You should read it. I think Scythe is one of my top three books so far this year. I don’t know! I’ve read so many good books. I’m not ready to pick favorites yet! I will read Thunderhead so so soon, I promise!! I’m actually hoping to read it this week but I also want to read Leah on the Offbeat so..*throws plans out the window* Who knows what’ll happen.😂I have committment problems. But I’m glad you’ve read a ton of super good books already!! 😂😂I’m kind of obsessed with updating Goodreads haha…I’m on there so much it’s ridiculous.😂 But hey, as long as you’re having fun reading, that should be the only important thing, right?! I’ve had a really slow reading year, but a majority of books I have read have been pretty awesome, so I guess that would be good. OKAY I THOROUGHLY APPROVE OF YOUR LIST. Except for Thunderhead which I haven’t read…but like it’s literally eyeballing me from my TBR so I’ll get to it soon.😍😂😂But Scythe was SO GOOD and afsdjakld I love Simon Vs (I reread it actually this year) and THE LANGUAGE OF THORNS. TOo beautiful. We have been blessed by the Bardugo queen. And Thunderhead is AWESOME. Better than Scythe, according to multiple reputable sources (that may or may not be friends that I saw in a bookstore the other day), and it made me c r y.
Ohhh, then you are about to be BLESSED with an incredible treasure trove of Bardugo books then!! AHHHHHHH. Hmmm my top three reads of the year so far have been: Warcross (very cool plot), Code Name Verity (tears), and To Kill a Mockingbird, which was surprisingly feelsy!! (That’s not a word, is it 😂) And this year has been the best reading year of my life because for the first time I’ve made it a goal to read more and to read broadly!! And it’s been fantastic ☺️ Maybe next year I’ll make a goal on Goodreads!! Ahh I love Code Name Verity too! It’s been years since I read it but like wooow I remember my heart just being punched out of my chest SO THAT WAS FUN. *sobs* And that’s awesome you’re reading broadly!! Hmm top 3 this year would have to be Heir Of fire by SJM, to kill a kingdom, and The Cruel Prince (Amazing!!) SO agree that Jude is amazing one of my new fav characters ever!! YAYYYY I’m so glad The Cruel Prince is on your top list too! SAME THO. Isn’t it incredible?! Jude is just ruling everything. I’m seriously freaking out about the fact that it’s already June?? I mean, how is it already the middle of 2018?? I swear it was New Year’s a few weeks ago? How did this happen?? Who okayed this?? I certainly didn’t? HELP. And absolutely with you. I’m a pretty chill person but like…there are some people who totally need to be eaten right now. JUST SAYING. Top 3 books of the year so far- Curved Horizon by Taylor Brooke. Soulmate AU, deals with mental health, F/F romance between asian gothic demisexual shy girl and bisexual southern belle! The Soul of an Octopus by Sy Montgomery- Nonfiction memoir about Octopuses! So sweet, so many people to fall in love with and the Octopuses too. Learned much, cried (happy tears). Didn’t know I could love a nonfiction book this much! Never Be Alone by Paige Dearth- Own voices for child abuse/homelessness. Realistic horror. Important because all this stuff actually happens and something needs to be done, but also heart-breaking for the same reason. Many tears, both sad and happy, because ending is hopeful. Shattered my heart. I've had a GREAT reading year so far! 2016 I read 50 books, 2017 I read 100, set goal for 104 this year, am currently 2 books ahead! And most of the books i've loved, so many new favorites! BUT THESE ALL SOUND AMAZING!! I haven’t heard of them at all and really want to check them out! (Never Be Alone sounds really shattering for sure though ahh.) And omg congrats that this year is treating you so well with the good reads part!! And you are ruling your reading goal!! Ugh Cait, seriously three? Fine. The 5th Season, The Mad Ship and The Empty Grave. Ahh I want to read The 5th Season! I’m glad you loved it! I’m done with my school year now and reveling in all the time I have to read!!! It’s so nice to be able to read only what I want and not what some curriculum is telling me I have to read, although some of those were good too. My three favorite reads of 2018 so far (although I barely ever read books right when they come out, so these are just new-to-me books) have been A Man Called Ove (Fredrik Backman), The Lost Husband (Katherine Center), and P.S. I Like You (Kasie West). I’m going to have to check out Pacifica! I love pirates! Wow. How do you read so many books? You are amazing. My top three favorite is autoboyography by Christina Lauren, Hunting prince Dracula by Kerri Maniscalco and my favorite reread Simon vs the homosapiens agenda by Becky Albertalli. I don’t sleep.😂😂I also think I read kind of fast?! But like whatever works right? Haha. AND OMG AUTOBOYOGRAPHY WAS MY FAV LAST YEAR. I’m planning to reread because I’m so so in love with that book. I need to do this tag!! I’ve been SO behind on reading this whole year, though, so I don’t even know if I’ve read enough books to answer all the questions. My top three books of this year so far have definitely been DEAR MARTIN, LEAH ON THE OFFBEAT, and THE WAY YOU MAKE ME FEEL. I’m apparently on a good contemporary kick this year! And I’m definitely going to catch up on reading soon, so hopefully there’ll be more on that list. I hear you with feeling behind.😂I mean I know I’m whingeing while having read a lot of books BUT I STILL FEEL SO BEHIND. How even. 😂 And omg Dear Martin is AMAZING! I read it last year and like wooooow so many feels. I’m about to start Leah now too! ISN’T IT AMAZING?!? I’m so freaking in love with it!! Rook and Isobel were like the absolute cutest ever ahh!! And I don’t get the negative reviews?? like how is the world not obsessed.😂 I am. It’s like the ultimate June tag, right? !😂 HOW IS IT JUNE, THO. SOMEONE TELL ME HOW THIS HAPPENED. And the stained pages on my book was only for a book box though. 😉 So you can’t buy it specifically, but it’s soooo pretty eeeeep. Oh I loved The Naturals too! I read it a while ago but OMG SO CREEPY AND CHILLING. YESSS I’m so excited that Legendary was a better book, I can’t wait to pick it up! HURRY UP AND READ THUNDERHEAD. I agree with all of your most anticipated releases! OMG your review on Iron Gold makes me not want to read it. I so hope you'll get to read I Was Born For This soon, I LOVED this book so, SO much. Also The Beauty That Remains – such a beautiful book! I loved Lira from To Kill A Kingdom as well, such a fierce, amazing character!! And yes hello thank you very much for the reminder to read The Wicker King, I WILL and I am so impatient it seems SO GORGEOUS?! I think my top 3 books so far… UGH THIS IS WAY TOO HARD. Off the top of my mind right now I'd say, I Was Born For This, Nothing Left To Burn, All of This Is True…….. THERE ARE TOO MANY BOOKS CAIT. OMG LOVE LARA JEAN.😍 I wasn’t convinced on the new-mum subplot though, is the only thing haha, but I’m just SO RELIEVED MY SHIP SAILED fajdklsd. They are the cutest. And ahh I need to read I Was Born For This ASAP! I love the author’s other book, Radio Silence, so like why am I procrastinating this?! Yessss read the Wicker King. It is like a pure work of art inside and out!! Also I like had only vaguely heard of Nothing Left To Burn, but now that I know it’s a top favourite for you, I’ll need to check it out further!! For the first time this year, I am on track. I may even be one book ahead. Let’s all pretend that this is a normal state of affairs and not the biggest plot twist since Snape killed Dumbledore. I haven’t read that much…up until my vacation started a couple weeks ago, I was in school, so I neglected books for homework. :// I’m crossing my fingers that I can catch up/get ahead on my Goodreads challenge this summer, though! Anyway, great post, I really enjoyed reading it (and seeing the dress code for the 2018 releases, hahaha). I KNOW RIGHT?! HOW IS IT JUNE. *panics a little* 😂😂 And oh best of luck with your challenge in the summer! I’m honestly reading WAY less than I have any other year, which is sort of making me feel bad haha. But like so long as we have fun reading, it shouldn’t matter, right!? Ahhh that’s good to hear I’m so so excited for Sky In the Deep! Hoping to read it this week sometime. 😂😂 And omg BRING US VENGEFUL FASTER!! Aww thanks!! I mean, I definitely know bookworms who read way more.😂But it’s fun to be able to read a lot and enjoy so many stories! I think my favorite new release this year was the Astonishing Color of After. It dealt with depression and grief in a way that I could really relate to and I loved it so much. I also finally got around to reading A Man Called Ove, which was fantastic! And SCYTHE! Omg. Those three are my top of the year. Granted, I haven’t read nearly as much as you, but I listen to audiobooks so the pace is kind of dictated for me. Anyway, I loved this post and it gave me a bunch of new TBRs. I wish I could keep up! Eeep I can imagine the upcoming pressure with finishing highschool!! I definitely say don’t stress if you can’t get to the 100. 😉💛School tends to eat time. MY ICE CREAM SANDWICHES ARE DIVINE. For the first time since forever (get that reference? muehehehehe) i’m three book ahead in my goodreads challenge (well it won’t last long because slump here i come). The funny thing is that i haven’t yet read a great book. I mean until this day i have only read one 5 star book and three 4 star books from sixteen books in total (yes i don’t read much, my target is 30 books by the end of the year….. fingers crossed). Besides all that, CONGRATULATIONS FOR YOU BOOK!!!! May the odds be even in it favor. I would love to read but giving the fact i live in Greece i’m gonna wait one or two years for it to come (because i believe it will come in Greece and i believe it will be translated, fingers crossed for that too). I understood that reference 😂😂 And good on you for being ahead on Goodreads too! *hi fives* I feel like I’m in a slump but pretending I’m not looool but I’ll keep reading and just hope something ASTOUNDS me super soon! But gah you need some more 5 and 4 stars! I willll get to it soon I promise! I can’t believe I haven’t yet. Gah I’m so behind on my reading! Okay, I put Always and Forever, Lara Jean on hold. I wasn’t in the mood to read it when it came out, but I think I am now! I honestly don’t even know my top 3. My favorite favorites were rereads! But I guess Summer of Salt and Anger Is a Gift. I’m not sure for #3. YAY, that makes me really happy! I feel like I’m having a really good reading year. I’ve had hardly any books that I didn’t give 4 or 5 stars. I’m a little behind on my Goodreads challenge though. I can’t do a top three – it’s too hard. But my favourite read for 2018 so far is Small Spaces. My brain is basically on fire, so I have no list of my top three for the year to offer you. My apologies. Saving the best for last….your book finally came!! I was out of town, of course, and had to wait for days, but it’s finally here, and I’m looking forward to digging in. I honestly don’t know how to pick favorite books, nope sorry. Especially not 3. Like maybe 5 I could do, you know? Erm. Anyway. YES you can always say your own book, shout it from the rooftops! It will have made some kind of list of mine of bookish awesomeness if ever I make such a thinG! And YES I am on track! I think I am at like… 67? Here’s the fun part: I am 24 books ahead! I let random.org pick my goal again, and luckily, it did not do me dirty like it did last year, so hurray! I am VERY glad that the books you’ve read have been really good on average though! That is really the most important thing, right? I’M SORRY!! 3 was a mean question.😂😂 But omg trust me, I’m just going to be like talking about my book for absolutely forever.😂I’ve waited too long for this mwhahaha. Congratulations on your book release! I read it and absolutely loved it! I am such a sucker for sad boys with difficult home lives…. I’m not sure what that says about me, but I find stories like that very moving. Yours was lovely (in a very painful and upsetting way) and I really loved Beck and found his blossoming new relationship very moving. Other than that I’ve been reading so much I don’t know what has been my best ones! I really enjoyed All I Ever Wanted by Vikki Wakefield and The Centre of Everything by Allayne Webster. I’ve been reading so much contemporary lately, it’s crazy! THANK YOU, POPPY!!! I’m so happy and excited hehe. And I hope you’ll like The Boy Who Steals Houses!! (And aww thank you for reading ATPN. 😍😍) And yay glad you enjoyed All I Ever Wanted! I’ve only read one book by that author so I need to read more. And SAME. I’ve read so much contemporary lately too?! (1) Senlin Ascends (Josiah Bancroft) – amazing book, easy 5 (and I’m very sparing with 5s). Senlin’s development is some of the best I’ve ever seen. He starts out as this awkward stilted curmudgeon who is just buffeted by events. Then you see him learning to react; then he learns to set goals, make plans, take control. By the end he’s committing mad heists and pitting enemy factions against each other and I am just so proud of him. The premise is that people learned how to drink their shadows, which is super addictive and screws you up but also gives you weird powers. Crazed shadow drinkers basically destroyed the world into a dystopian wasteland. I dunno how much that premise appeals to you, BUT the main reason I think you’d like the book is the characters (Mira/Murk/Bale). – Mira struggles with mental health issues (suicidal ideation) but it doesn’t define her, if that makes sense. In fact she is the main driver of the plot, trying to find a cure for her mother whose shadow was stolen. (3) It’s hard to pick just one but I am going with A Conjuring of Light, which I read in one day after finishing A Gathering of Shadows. (so glad that I put off reading the series until all the books were done) Holland is the best. Lila is also the best. So yeah, good reading year! Also I’m at 31/52 on my reading goal, though a bunch of that is short stories. Ahhh that’s good to hear it’s been a great reading year for you! WE ALL DESERVE AAAALL THE GOOD BOOKS! And I admit I haven’t heard of the first two you mentioned ooops. But holy wow Sip does sound very intriguign…sass and mental health and a boy who is weirded out over eggs?! I’m like going to Goodreads straight after this comment to find it ahh! Also ACOL WAS AMAZING and Holland made me cry love him. Les Misérables (LOL) ending: perfect! But so HEARTBREAKING! Why did he have to diiiiiieeeeeeee? The Great Gatsby: same as Les Mis. The Book Thief (?) I’m not having a great reading year, so the rest of my books are so crappy that I just went ahead and chose this. Well, at least it was better than Brave New World. What in the world was that book? I was SO confused! OH wow but Les Mis is HUGE!!! So you should like get to count that for 5 books. 😂😂But it sounds like you read a lot of harder/meaty books?! So that’s very impressive. And I love The Book Thief too!! Look at all those 4-star reads! I’m feeling a little jealous of you right now. Besides your book, everything I’ve read in the past month or so has either been awful or just “meh.” I haven’t had a 5-star read since March. I hope you enjoy Leah! I liked it a lot. Not as much as Simon (which I ADORED), but I did have a lot of fun returning to some of my favorite characters. Nooo I hate it when I get a run of bad reads. *sends you cake of sorrowful solidarity* But also glad my book skipped that and you liked it. 😂💛💛mY FAV, YOU ARE. But seriously, I hope you get a 5 star soon because agh! That’s so long since your last one! I did end up liking Leah!! Although definitely not as much as Simon and I didn’t really connect to Leah like I did to Simon?? I haven’t been on your blog lately AND I DON’T KNOW WHY I’M SORRY I FEEL LIKE I HAVE ABANDONED THE FAMILY. Anyway awesome post!! I really want to read leah on the beat! *sends you all the cake* I’M GLAD YOU’RE HERE, IT’S ALWAYS NICE TO HAVE YOU!! Also yes yes read Leah it’s a fun one!! Top 3 is hard to choose, but I loved If I Was Your Girl by Meredith Russo, Aristotle and Dante Discover the Secrets of the Universe and A Thousand Splendid Suns. So far, I haven’t had a lot of ‘bad’ reads, which is good! I was planning to do this tag on my blog too, when I actually realized it was June O.o Time has passed so fast! Aww thank you about my book!!! Ooh yes, read White Rabbit and Running with Lions! Both very good. I still need to read Boomerang (don’t own yet) and The Foxhole Court (own that first book) so yay for loving them. 🙂 And YES, The Wicker King is amazing. I need my own, finished copy…and a sequel like ASAP. Also for the fall/winter – give me all the V.E./Victoria Schwab!! This year is truly blessing us with SIMPLY AMAZING BOOKS!! AHHH ALL THE HEART EYES!! Okay 2018 has been a really great reading year for me and I really can’t pick only three favorites but my top 7 (weird number I know, lol) are Nevernight, Godsgrave, Obsidio, An Enchantment of Ravens, Stalking Jack the Ripper and Hunting Prince Dracula and A Court of Frost and Starlight. Oh and I also really really loved The Cruel Prince, too. An Enchantment of Ravens was also so sweet and hilarious and amazing?? It was my first book of the year and I loved it soo much. 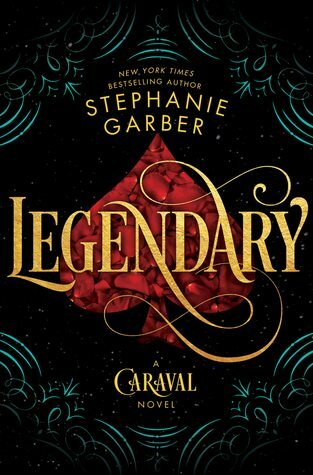 I’m also so excited to read Legendary!!! Ahhh I’m so glad we have a ton of the same favourites here! I LOVE Nevernight and I’m lowkey procrastinating Godsgrave, but I will get there.😂😂 And Stalking Jack the Ripper has been so fun too?! Omg, I picked Iron Gold as one of my most disappointing reads, too! I’m hopeful he can redeem the series yet, but I’m going to be very reluctant going in to Dark Age. Also, can I just say how much I love your writing style and sense of humor? I never read one of your posts without laughing, and I’m a huge fan! AWW THANK YOU, DANI!! That means the most to me!! I’ve had an okay-reading-year so far. My top 3 are (1) The Darkest Minds. holy. cookies. I identified a lot with the protagonist. (2) STRANGE THE DREAMER, OH MY, HOW HAVE I BEEN LIVING MY LIFE WITHOUT LAZLO??? (3) To All the Boys I’ve Loved Before, definitely. I even re-read a couple of months later. Totally not wondering why my TBR hates me. And I can’t wait to read Always and Forever, Lara Jean! I mean, it might be spoilery! But yeah, basically just that all the main characters are males and any female who stars is rather insipid. And he ALWAYS makes his queers tragic and nasty. Like he’ll always kill off half of the couple and it went a few times and I was not impressed with that. Plus it sort of destroyed some of the most powerful friendships of the first book and Darrow was an absolute self-entitled jerk. I couldn’t even believe this was the same Darrow??? Thank you for leaving out spoilers! I’d kind of already given up on reading the book though, so all good hahhaa. But wow yeah that’s …. so sad??? Nothing wrong with making some characters insipid/tragic/etc. but wow it’s real unfortunate when ALL of a group are that :/ Sorry to hear it was a disappointing read!